British and French fishermen reached an agreement on Wednesday in the so-called Scallop Wars over fishing in the Channel, following clashes at sea between rival boats. "We renewed the 2017 agreements," Gerard Romiti, chairman of the French national committee on fishing, told AFP following a day of talks in London. Tensions boiled over last week when five British vessels sparred with dozens of French boats in the sensitive Seine Bay, with video footage showing fishermen from both sides ramming each other. The clashes, which occurred around 12 nautical miles from the Normandy coastline, were the most serious in years of wrangling over the area's prized scallops. French fishermen were incensed that British boats were accessing the highly productive waters, while their own government limited them to fishing there to between October and May to allow stocks to replenish. Deals struck previously exempted British boats less than 15 metres (50 feet) long from the restrictions, a loophole French fishermen want to see closed and which led to deadlock in reaching an agreement earlier this year. 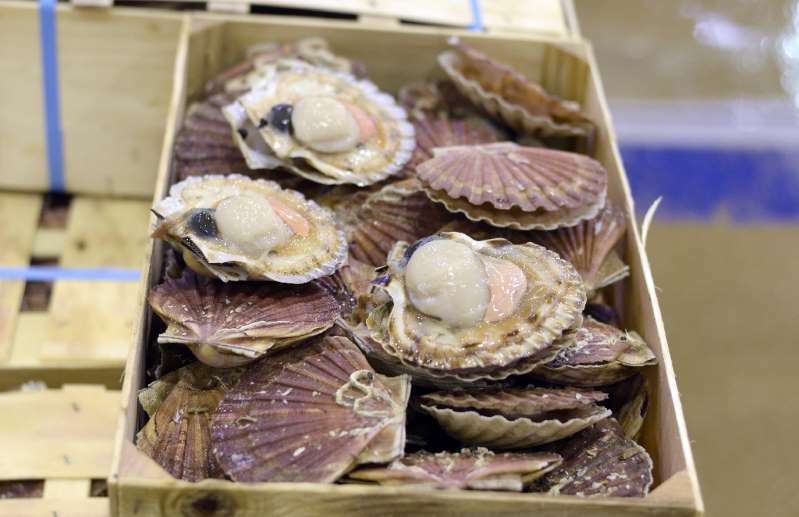 "The UK and French fishing industries and governments held constructive talks today about scallop fishing in the eastern Channel including Baie de Seine," the British and French governments said in a joint statement. "An agreement on the principles of a deal has been reached," they said following a meeting between officials and industry representatives from Britain and France. "The previous agreement involving the UK 15-metre-and-over fleet will be renewed. "In addition, there is agreement in principle for UK under-15-metre vessels to be included in the deal. "This is subject to a reasonable compensation package, the details of which will be defined in Paris on Friday. "In the meantime, there is a voluntary agreement for all UK vessels to respect the French closure period in the Baie de Seine."